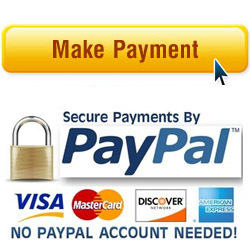 Enter the amount of payment you wish to make. Minimum payment is $10.00. 8 hr package with Shelley Taylor-Smith and Australia's No. 1 productivity coach, Lorraine Pirihi. A complete one day workshop covering the hot topics of motivation, goal setting, time management and productivity - and no more excuses! TODAY ONLY $395. The all new practical 8 CD set, 122 hrs how-to guide to achieve your goals, personally coached by the World Champion herself, Shelley Taylor-Smith. Purchase today and receive the CHAMPION STARTER KIT FREE (value $350.75). TOTAL SAVINGS $550. Live and Enjoy the Present Moments Now: how to seize the opportunities now. More info... Goal Setting for Success: How to set goals, emotionally connect with them and track your progress. How to Focus: know what matters most, eliminate distractions and achieve your highest priorities. More info... Perseverance & Persist: Develop a Champion attitude with mental toughness to bounce back from rejection, failure and setbacks and prevent burnout. More info... How to set Outcomes and Take Action: How to get rid of the excuses that are the biggest cop-out that block your success, how to eradicate procrastination. More info... Bonus 8th Resource CD: Shelley guides you on goal setting techniques, exercises on visualisation, relaxation, freeing your mind from the noise and our sabotaging self talk and how to program yourself for the future. PLUS 21 Champion Motivations personally ‘taylor-made’ just for you! The Essential Open Water Mastery Package - Seminar You are ordering "The Essential Open Water Mastery Package" including; 3 SESSION Pass to “Open Water Tuesday” AND 3 SESSION Pass to “Stroke Correction Wednesday” with Head Coach, Shelley Taylor-Smith NB: To be used in March and April 2014. You are ordering "The Essential Open Water Mastery Package" including; 3 SESSION Pass to “Open Water Tuesday” - Tuesday’s 6-7 am in Swan River, Matilda Bay, Crawley. AND 3 SESSION Pass to “Stroke Correction Wednesday” - Wednesday’s 6-7:15am at Scotch College, Shenton Road, Swanbourne. With Head Coach, Shelley Taylor-Smith NB: To be used 6th January thru 28th April 2015 inclusive. You are ordering "The Valentine's Day 2013 Special" including 1 x OPEN WATER SWIMMING MASTERY Long Sleeved T-shirt with the OWS Mastery swim cap for free!! !